According to a recent report, airports across Malaysia are in the process of being upgraded to better manage the growing population of travellers passing through their doors annually. In 2017 alone, Malaysia saw a record number of passenger movements across its 39 airports (domestic and international) across the country and an 8.5 per cent increase since 2016. This has put pressure on the airport operator to enlarge capabilities rapidly without unsettling passenger flow while also accounting for the various stakeholders involved in the running of an airport. For context, the country’s main airport, the Kuala Lumpur International Airport (KLIA), is designed to handle up to 75 million passengers annually. 2017 saw it processing nearly 60 million passengers – twice the size of Malaysia’s population. The report noted that in an exclusive interview, the Chief Strategy Officer for Malaysia Airports stated that that the digital transformation effort is an urgent need for all the airports across the country. He noted that a number of Malaysia’s airports have been at max capacity. While this is a good problem to have, operators must ensure that any changes are handled properly to prevent passenger flow from being disrupted. Traditionally, expanding infrastructure was the only way for airports to service a larger number of passengers. However, new technologies enable airport operators to now look at improving efficiency by redesigning their operations and processes. Most airport operators, including MAHB, draw inspiration from Singapore’s Changi Airport seeing as it is ranked number one in the world. While MAHB has thoroughly studied the Singaporean Airport’s Terminal 4 model, it has tailored its approach to suit the needs of passengers passing through Malaysian airports. The Chief Strategy Officer noted that the situation is never “cookie cutter”; the technology must be incorporated and deployed in “humanized way”, i.e., without over-automating and losing track of the human interaction and engagement in the terminal. It must also take into account a customer’s journey and how technology affects them throughout the process. He noted that, from a passenger’s viewpoint, technologies should not feel very robotized. Thus, the company is undergoing a drastic internal shift, not just in terms of piloting and introducing new technologies, but also managing the change in processes for its employees and stakeholders, as well as the public. Generally, implementing technology is the easy part; choosing the right technology, however, is much harder. Often, it takes a lot of piloting and pivoting between ideas and solutions. An even bigger hurdle is getting all stakeholders to agree. As an airport operator, MAHB has an umbrella strategy to help ease the transition for customers. However, talking to airlines is a different matter; everyone has a very different interpretation of digitalization, not to mention different levels of acceptance towards adopting new technologies. The Malaysian airport operator has noticed that when an airport or airline rolls out digitalization in an extreme fast-track manner, the customer satisfaction index drops tremendously. He added that it is important to ensure all systems are integrated smoothly across all touchpoints – a missing link will mean that users won’t achieve the full benefits of an end-to-end ecosystem. In recent years, MAHB has been rapidly rolling out various digitalization initiatives, starting from KLIA, in efforts to double the airport’s capacity within the next two years. For example, the recent announcement of millimetre wave body scanners that will be implemented starting in 2019. Then there are mobile apps that help passengers plan their airport journey to ease travel stress. These are all part of MAHB’s airports 4.0 initiative, which is a comprehensive framework to modernize the 39 airports under the airport operator’s remit. Powering these efforts is a unified digital platform known as the ‘datalake’; which serves as a central data depository that MAHB can access to incorporate capabilities like big data analytics, machine learning, and artificial intelligence into their operations. Dealing with huge amounts of data, it is important for airports to be conscious of the security and governance of information, especially with Malaysia’s Personal Data Protection Act (PDPA) and the EU’s General Data Protection Regulation (GDPR) coming into effect. In the coming years, the officer noted that MAHB will continue to look at various technologies, including 3D sensors, single travel tokens, biometric IDs, predictive solutions for baggage handling systems, automation, the blockchain, flow monitoring, e-commerce, and more. 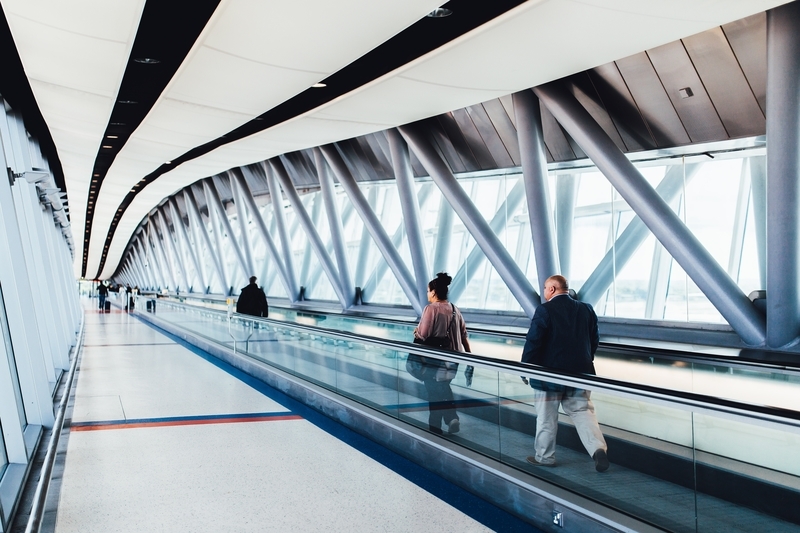 Although airports 4.0 is designed as a five-year framework, the officer emphasized the key is to choose the right flow and right technology without going through an analysis paralysis.